Well, I can’t believe that summer is over and fall is here. Either it goes too slow or there is never enough time to do everything that you want to get accomplished. I hope that everyone is working on the contests for State Session. 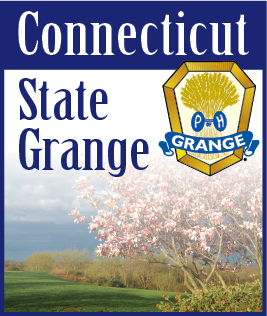 Don't forget the posters to welcome National Grange in November. This contest is open to all who are interested. Age doesn’t matter. You could be just a Junior at heart. At State Session, we will be having a snack table to raise funds for the Helmet Project. Also we will be having our raffle. All donations will be very welcome. Donations to the Helmet Project should be sent directly to the State Secretary. Hope to see you all at State Session. Remember that the heart of each day is a promise. The gift of each day is... YOU!! !